All true Christians agree that God is One and also a trinity: God the Father, God the Son and God the Holy Spirit. Also, we all agree that without the help of the Holy Spirit, no one can believe that Jesus is the Son of God (“no one can say that Jesus is Lord except by the Holy Spirit.” - 1 Corinthians 12:3b). One cannot be born-again, without the conviction of sin that is also the result of the Holy Spirit's ministry. The Word of God was inspired by the Holy Spirit, to the writers and only with His help, can it be understood. The Holy Spirit opens the heart of the one who hears the Gospel and helps them be receptive to the truth. When the hearer, accepts the truth, the Holy Spirit continues His work by helping the person realize that he is a sinner in need of a Savior. Then, the person sincerely repents, asking God to forgive all their sins and decides to follow Jesus, turning from their sinful life. In all four Gospels (Matthew 3:11, Mark 1:8, Luke 3:16, John 1:33), we find that Jesus is the One who baptizes us with the Holy Spirit. This proves how important this baptism is. The first three Gospels are called synoptic, because they present the events from a similar point of view, different from that of John's Gospel. That means that there are not many subjects that are common to all four gospels, and those that are, are very important. We may conclude that the importance of the baptism of the Holy Spirit for Christians, is indisputable. If you want to learn more about what the Bible says about the person of the Holy Spirit, you may read the article: “Who The Holy Spirit Really Is." So Jesus was baptized in water, setting the example for us to follow. There was no need for Him to be born-again, because He did not inherit Adam's sinful nature by birth, as Jesus was conceived by the Holy Spirit, through the Virgin Mary and He never sinned, so there was nothing to repent for. Then Jesus was baptized with the Holy Spirit. In John 1:32b, John the Baptist says: “I saw the Spirit descending from heaven like a dove, and He remained upon Him.” Previous to that, the Holy Spirit only came in temporary measure. He would come upon a prophet, until God's Word was delivered. From the last prophecy in the Old Testament book of Malachi, to the birth of Jesus was about 400 years of spiritual darkness for the Jewish people and the whole world. This makes the returning of the Holy Spirit even more important. With the help of the Holy Spirit, John the Baptist prepared the way for Jesus, as people repented and came to be baptized, which fulfilled the prophecy from Malachi 4:5-6. Jesus Christ chose to be helped by the Holy Spirit and not by His own divinity. Jesus was conceived by the Holy Spirit, He was baptized by the Holy Spirit when He was mature, at the age of 30, before He began His ministry. Jesus lived a sinless life, performing many signs and miracles with the help of the Holy Spirit. As one of us, Jesus “made Himself of no reputation,” not using His own power and attributes as God, and had the Holy Spirit as His power and Helper in His ministry. If our Lord was baptized by the Holy Spirit and by the power of the Spirit, He performed all His mighty works and after crucifixion He was resurrected by the same Holy Spirit from the dead, by Father God, how much more we need to receive the baptism of the Holy Spirit? Among those 120 who waited in Jerusalem and received the fulfilling of Father God's promise were Peter, John, James, Matthew and Mary, the mother of Jesus. All of them obeyed, wanted, waited and received the baptism of the Holy Spirit and spoke with other tongues. Also, the apostle Paul, the one who wrote more than 1/3 of the New Testament, was baptized with the Holy Spirit, even before being baptized in water (Acts 9:16-17). When someone hears and believes the truth of the Gospel, they are “sealed” by the Holy Spirit. Being sealed is the proof that the sealed object belongs to the owner of the seal. This “seal of the Holy Spirit” is actually the down-payment, the guaranty, of the sealed person's “contract” with God, through Jesus Christ, by which they are saved and inherit eternal life, by becoming part of the body of Christ, the Church. As long as the person respects the contract terms, they belong to Jesus and no person or thing can change that. When we were born-again, we received just a small measure of the Holy Spirit. That is why the joy of salvation lasts for a limited period of time and is influenced by many factors such as: how sold out to Jesus we are, how much time we spend with our heavenly Father in prayer and bible study, how Spirit-filled the church or group of believers are that we are a part of, how hungry we are for more of God etc. Sadly, there are many Christians that never wanted or asked to receive the baptism of the Holy Spirit; never realizing their need and importance of this baptism for their joy to be complete and to be able to keep renewing it, by having fellowship with the Holy Spirit. As a result, they live with the memory of the great joy they had when they were born-again and never enter into the fullness of joy, power and intensity that the Holy Spirit can bring. Can this be true? I personally know for certain that the experience of being born-again is not the same as the experience of receiving the baptism of the Holy Spirit. As a matter of fact, there was quite some time that passed between the two. Both events can only happen with the participation of the Holy Spirit. When a person becomes born-again, the Holy Spirit enters into their heart and from the inside starts the transformation process that will be visible from the outside, as the person's life changes. When a person is baptized with the Holy Spirit, the Holy Spirit is poured out by God, from above, until the person is completely covered in His presence, as a water-fall drenches anyone who stands under it. The original word for baptism is “baptisma” which means: immersion, sinking, completely surrounding. The amount of the presence of the Holy Spirit and the effects He initiates for the changes and results in the baptized person are way more significant than at the moment of salvation and so much, that they cannot be ignored by the one who receives Him or by those around the person who is baptized with the Holy Spirit. We see that happening in all baptisms from the book of Acts. Now let's take a look at what Jesus said about the ministry of the Holy Spirit, that produces salvation and then about the baptism with the Holy Spirit. Surely the Lord considers that His message was very important if He “cried out” to catch their attention. Jesus wanted to make sure that people then and now, learn that all those who believe in Him and are saved, can receive the Holy Spirit. All they need is to be “thirsty” for more. The Holy Spirit can fill every “thirsty” person so much that from their heart “flows rivers of living water.” Could a river flow and no one see it? Jesus says that there will not be just one river, but that there will be rivers that cannot be ignored by those around, for sure. Once the Holy Spirit comes to dwell in a person, the transformation of that person is so obvious that all those around them see it! And hear it! Why? Because no one can keep the Good News of the Gospel to themselves! In my case, conversation never goes more than a few minutes until the person I am speaking with hears about the Lord of my life. When the “rivers of living water” are flowing from our hearts, they touch everything around us and the spiritual atmosphere is always changed, no matter where we are. So, in the two passages of scripture from above, Jesus is talking about the Holy Spirit that works in the inner man of the believer, in order to be saved by being born-again. God's plan for us, His children doesn't stop at being saved, each of us should press on into asking and receiving the baptism of the Holy Spirit. Jesus and the Father are one and both of them desire to give us the Holy Spirit, together with His power and all His benefits. This verse is not about the Holy Spirit entering into a believers heart, to produce the “living water.” It is about the descending of the Holy Spirit from above, “upon” those who desire and wait the fulfilling of this promise which “endues” them with “power from on high.” This is similar to immersion, covering from all sides, which is the definition of baptism. It has been said many times that the baptism of the Holy Spirit is received when a person is saved and born-again and that His gifts were just for the early church as they did not have the New Testament in written form, so they especially needed the Holy Spirit's help to enable them to live right. We have the whole Bible available to us in all forms, shapes and sizes so that there is no more need of the Holy Spirit's gifts to guide us. Could this be true? Are there any verses to support this concept or do we find the contrary? Jesus said that God would send the Holy Spirit to be with us forever! Jesus never said that the Holy Spirit would come to be with us only until the Bible would be completely written and available, and then He would be called back to heaven, or that He would stop giving the gifts. Neither Paul or any other apostle say that the gifts of the Holy Spirit are only available until a certain date and then all the gifts would cease. Is there no more need of the miracles that only the Holy Spirit can do through Christians, to prove that the Gospel is true and help many? Or are we so powerful, that there is no longer a use for the spiritual gifts in our lives? There are no verses that say the Holy Spirit will cease being with Christians after the early apostles finish their work or ever. God will never leave His children without the help, power and the gifts of the Holy Spirit. It is up to us to desire and seek the spiritual gifts. And after we receive the gifts, to operate in them. Please read these following verses carefully as they are misquoted so often. Let us take a serious look at what Paul is really saying. 1 Corinthians 13:8-10 (AMP) “Love never fails [it never fades nor ends]. But as for prophecies, they will pass away; as for tongues, they will cease; as for the gift of special knowledge, it will pass away. 9 For we know in part, and we prophesy in part [for our knowledge is fragmentary and incomplete]. 10 But when that which is complete and perfect comes, that which is incomplete and partial will pass away..."
1 Corinthians 13:12 (AMP) "For now [in this time of imperfection] we see in a mirror dimly [a blurred reflection, a riddle, an enigma], but then [when the time of perfection comes we will see reality] face to face. Now I know in part [just in fragments], but then I will know fully, just as I have been fully known [by God]." No Christian can walk on the right path without the Holy Spirit. There are many teachings which limit Christians to only living with the “seal” of the Holy Spirit that comes at salvation. For those that do, they lack in power and have trouble in handling daily challenges. The more we are filled with the power of the Holy Spirit and the more we operate in the spiritual gifts, then the more we grow in our walk with God and the more we contribute in the growth of God's Kingdom and the stronger our faith will be also. We cannot make the best decisions based only upon what we find written on the pages of the Bible, without having a real relationship and good communication with the Holy Spirit. For example, the Word of God teaches us how a good marriage should be and who we should marry in general, but it does not tell us their name! To be sure who the person is that God wants for us to marry, we need to hear the voice of the Holy Spirit. In order to have a good relationship with the Holy Spirit, we have to be born-again, desiring and thirsting for more of God to receive the baptism of the Holy Spirit. This is not the end, but is the beginning of a beautiful, powerful walk with continuous fellowship with the Holy Spirit. By praying in tongues, we edify our “inner man” as the Holy Spirit is praying through us and we become more and more used by God in operating in the spiritual gifts as needed. By doing so, we get refilled again and again with the Holy Spirit's presence and power. Some Christians do not seek or ask for the baptism of the Holy Spirit, because they are afraid they might receive something evil or be deceived by the devil. God would never, ever give us or tell us to do something that is not 100% good for us. The more we study what the Word of God says on the matter, we see that the baptism of the Holy Spirit is the most marvelous thing that can happen to any Christian, after being born-again! So, the Holy Spirit is a wonderful gift and Father God gives Him to us when we desire and ask for Him. Father God is full of kindness and He loves us unconditionally. There is no reason for us to believe that He would prepare a gift that would hurt us. God is love (1 John 4:8); “the Lord’s mercies and His compassions are new every morning” (Lamentations 3:22-23). He is the One who gave His only Son to die in our place, because He loved us since the beginning of time. His “agape” love for us is the most perfect and it has “no strings attached” (1 Corinthians 13). The Greek word for the Helper, the Holy Spirit, is “Parakletos” and while it means Helper, it also means so much more: Counselor, Advocate, Intercessor, Strengthener, Standby. 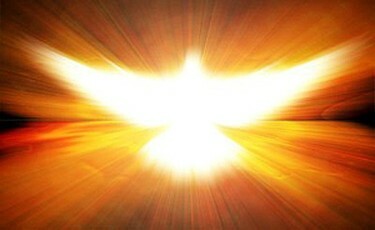 The Holy Spirit is all these and is always here for all of us who love the Lord and keep His commandments (John 14:15). Ten days after Jesus ascended to the Father, at Pentecost (fifty days after His resurrection), God sent the Holy Spirit to continue the ministry of salvation for mankind, which was made possible by Jesus' crucifixion. Jesus told the disciples that it was for their benefit, for Him to go to be with the Father, because He would send them “another Helper.” Because He said “another” we can know that it means One who is equal with Him. Jesus had the limits that came with living in a human body as He could only be at one place at one time, but the Holy Spirit is unlimited and can now be with all the body of Christ, at all times. He is one of the three persons of the Trinity, He is God and He has all the attributes that God the Father and God the Son have. Certainly when Jesus breathed the Holy Spirit upon the disciples, they had an important experience, but it could not compare to the experience that they would later have at Pentecost when they would receive the baptism of the Holy Spirit. Why? They only received a measure of the Holy Spirit from Jesus the day He breathed upon them. There is no doubt that this helped them to be motivated to wait in Jerusalem, praying for ten days until they received the baptism of the Holy Spirit in full measure and power. Jesus told them that it would happen “not many days from now” but it must have been a great and wonderful surprise when the Holy Spirit came down! After they received the “power” through the baptism of the Holy Spirit, they were totally transformed, no longer fearing persecution or oppression but on the contrary with boldness and anointing as “they departed from the presence of the council, rejoicing that they were counted worthy to suffer shame for His name”, as we read in Acts 5:41. The original Greek word used for the “power” of the Holy Spirit, is “dunamis” and it means, according to Strong's Concordance: (miraculous) power, might, strength, powerful deeds, deeds showing (physical) power, marvelous works, every kind of power of working miracles. This is the power that Jesus says we receive by the baptism of the Holy Spirit, which helps us to become what God wants us to be. God's plan is the best and is perfect in all things. Jesus told the disciples that they needed to wait to receive the power that would come when the Holy Spirit came upon them and only after that, would they will be able to preach the gospel to their families, locally and then to everybody everywhere. We cannot be true witnesses of Jesus, without the power that comes through the Holy Spirit. The disciples had to wait for ten days until the Holy Spirit came upon them. What a majestic entrance of the “heavenly power” into our world, and this time, He came to stay! Upon the 120, that were already born-again, appeared 120 tongues like fire. The person of the Holy Spirit manifested Himself uniquely and personally for each and every one of them. All were immersed from the top of their heads to the tips of their toes, being fully covered (this is the true meaning of the “baptisma” term, from which we get the word baptism), by the presence of the Holy Spirit, which being invisible to the natural eye, wanted to be and was heard (“a sound from heaven, as of a rushing mighty wind”) by all in Jerusalem and seen by the disciples (“Then there appeared to them divided tongues, as of fire, and one sat upon each of them”). After they were totally engulfed in presence of the Holy Spirit, they were all filled and started to speak with other tongues, that they had never learned. Peter, led by the Holy Spirit, reminded the Jewish crowd that they were witnesses of what God had spoken through the Old Testament prophet Joel, more than 800 years previously, about the “pouring out” of the Holy Spirit and His gifts. The Holy Spirit chose to speak praises to God, through the one hundred and twenty disciples, using the languages of the Jewish people that came from at least 15 different geographical regions, where they spoke many more languages and dialects (Acts 2:4-12). The impact was the greatest! They could not deny that this was from God! Only the One, True Almighty God could cause such an extraordinary and incredible event! “All were amazed and marveled” and gathered around the house where the Holy Spirit fell upon the disciples, after they heard the sound “like a rushing mighty wind” which was the outpouring of the Holy Spirit. Afterward, Peter being full of the anointing of the Holy Spirit, preached the gospel to a huge crowd and more than 3000 souls believed upon Jesus as the Messiah and were baptized that day (Acts 2:41). The Early Church started with a record number of believers with, this first evangelistic preaching, and it was all due to the supernatural power of the Holy Spirit, who had filled the disciples and gave them the gift of speaking in tongues. Unfortunately, the importance of these steps has gotten lost along the way and many now believe that it is enough to pray a quick, short prayer to be saved. The power of the church and for all Christians can only come from the Holy Spirit. Without Him, the church and any members are weak and represent no threat to the kingdom of darkness. If the Early Church was growing with the help and power of the Holy Spirit, how much more do we need His help and power in our time? Every generation has its own challenges and problems and as long as we are on this earth, we will never be self-sufficient. The Holy Spirit is always ready to help and lead us on the best path to heaven. It is not easy for us and it was not easy for the apostles either, but the presence and power of the Holy Spirit transformed them completely. For they went from fearing for their lives, to being ready to be imprisoned and even tortured for their Lord. How did God answer their prayers? The apostles were first filled with the Holy Spirit at Pentecost, during the first baptism, and now they were filled again. Through this re-filling, they got the power to preach the gospel, in spite of all the severe threats of the religious leaders. The signs and wonders that the Holy Spirit performed through them, brought more and more people to salvation. The more we long for the presence and power of the Holy Spirit, to be able to fulfill our calling, the more we will receive. The limit is not set by God, it is set by us. At His first coming on earth to stay, the Holy Spirit manifested His presence as the sound of a strong wind and came like tongues of fire. We never read of another instance when the Holy Spirit repeated all these manifestations in the bible. Even so, we read that the apostles never doubted that the baptisms of the Holy Spirit that followed were authentic. Philip preached the Gospel in Samaria where the people believed and were baptized in water. When the other apostles heard about it, they knew they had to follow Jesus' instructions completely, so they immediately sent Paul and John to lay hands on them to receive the baptism of the Holy Spirit. This was not a short or easy trip in those times, by any means. It could take up to four days if they walked, or maybe three days on donkeys, but they did it with joy, proving how important it was for the new believers to receive the Holy Spirit's power so they will be equipped to live for Jesus and be His witnesses. As we read in the above verses, their trip was a success! It is not written in “black and white” proving that the Samaritans received the baptism, but for sure, the reaction of those who were immersed in the presence of the Holy Spirit was special and unusual, because we read in the following verse that “when Simon saw that through the laying on of the apostles’ hands the Holy Spirit was given, he offered them money” trying to buy the power to lay hands on others to receive the Holy Spirit. It is possible that those who were baptized with the Holy Spirit, started to speak in other tongues, as the disciples did at Pentecost, and because it was the same manifestation, the apostle Luke did not record it specifically. Saul was saved when Jesus stopped him on his way to Damascus, knocking him from his horse. He believed and was changed from the one who persecuted the church into the one who should be persecuted. (You may read more about his experience here: "It is Hard for You to Kick against the Goads"). Ananias, called him “brother Saul” because he was saved and he went to him just to “receive his sight back and be filled with the Holy Spirit.” We already know that being “filled with the Holy Spirit” means to be baptized with the Holy Spirit and God sent Ananias so Saul would receive this second experience! We know that the apostle Paul spoke in tongues more than all those from the Corinth church, as we just read in the previous verse. We do not know if he received the gift right after he was baptized with the Holy Spirit, or later, but we know he did. In 1 Corinthians 12 we see the gifts of the Holy Spirit listed, then in the next chapter we read about the “agape” love of God and in 1 Corinthians 14:1-33, it gives a deeper understanding of these spiritual gifts. The placement of the “love chapter” in between, shows how important it is to operate in God's love with the spiritual gifts. The apostle Paul understood very well how important is to have fellowship with the Holy Spirit and to operate in His gifts. His ministry was so large and powerful, because he lived being led by the Holy Spirit and did it all in partnership with Him. Paul wrote one third of the pages of the New Testament and about half of its epistles. Without a real, deep relationship with the Holy Spirit he would not have had the greatest ministry of all the apostles. In the name of Jesus Christ, through the hands of Paul, God resurrected the dead (as we read about Eutychus being resurrected in Acts 20:7-12), and did many signs and wonders, all being done by the Holy Spirit living in him. The enemy knew that once Christians are filled with the power and wisdom of the Holy Spirit, they become truly powerful and anointed in preaching the gospel and in living right with God, so he comes against the gift of “speaking in tongues” together with the other spiritual gifts, to get Christians to where they do not even want to receive the baptism of the Holy Spirit. If we study what the Bible says about the person and ministry of the Holy Spirit, it is impossible not to conclude that without His help, we cannot fulfill God's will and call on our lives, no matter what our callings are. We are all called to preach the gospel to every creature and for which we need the power and leadership of the Holy Spirit. The success of the apostles ministry was due to the power of the Holy Spirit and the fellowship they had with Him. All the signs and wonders were the result of the Holy Spirit working through them, in the name of Jesus Christ. All through history, the most productive workers for the kingdom of God, were those that had a true relationship with the Holy Spirit. D.L. Moody (1837-1899), was an American preacher to the multitudes and founder of the Moody Bible Institute. Moody was also baptized with the Holy Spirit, even if there are not many that share this truth. R. A. Torrey writes about Moody's baptism, love and appreciation for the Holy Spirit, in his little book “Why God Used D.L. Moody.” At the beginning of Moody's ministry, he was a pastor and preached beautiful and well-documented messages, but they had no power. Once Moody found out that he could receive the baptism of the Holy Spirit (with power and anointing), he wanted it, asked for it and got it. From then on, his ministry grew exponentially and became the great ministry that we still know today, blessing millions of people and training ministers since1886. The Holy Spirit is God, so all His work is perfect. He is always ready to help us. No matter what time it is or where we are at, for Him it is never hard or impossible to be there for us. He also enjoys seeing us desire to have fellowship with Him, because we love Him, like to be in His presence and want to know Him more. What more could we ask? The word translated by “fellowship” in the original Greek, is “koinónia”, which means (according to Strong's Concordance): partnership, contributory help, participation, sharing in, communion, spiritual fellowship, a fellowship in the spirit. This shows that it is a person-to-person relationship with not only the Holy Spirit participating, but we do too. It is up to us to call on Him, to desire to spend time with Him, to ask and seek His help and direction and then to follow through in obedience. What a great Helper we have in Him! No wonder Jesus said it is for our benefit for Him to come and be available for every single one of us at all times! The Holy Spirit is not limited by a physical body, as Jesus was, while on earth! Aren't you glad? I know for sure, that I am! The Holy Spirit speaks through our spirit, using our mouth and speech organs to help us with the perfect prayer that will surely be answered, because it is according to the will of God. How often do we find ourselves and our loved ones in tough situations and are clueless about how we should pray. But the Holy Spirit, as He is omniscient, knows everything and by praying prayers in the spirit with His leadership, we know we are praying the best prayers. After we receive the baptism of the Holy Spirit, we start to praise God and thank Him for his goodness, love, mercy and His sacrifice because we desire more and more to be in His presence. The Holy Spirit prays through us “in other tongues” that edifies and helps us grow. Through such intimate fellowship with the Holy Spirit, we love our Lord more and more. Our love for others also increases and we start to have better understanding of the situations we face daily. We learn to hear more clearly on matters we seek the Lord about and by doing so, or faith will grow, too. The Holy Spirit teaches, counsels or comforts us according to what our needs are. Also, He helps us know God's will for our situations that develop in life. He teaches us the meaning of the Bible verses and brings them to mind that we need to know and apply. We need to study the Word of God on a daily basis, asking the Holy Spirit to reveal it to us and to teach us how to apply His Word in our lives. Then, when circumstances arise, the Holy Spirit will remind us of the right Bible verses for the matter. If we stop and consider the above bible verses, we can understand better why Jesus and the apostles insisted on the importance of receiving the baptism in water and with the Holy Spirit. It is our job to build and strengthen our “inner man” by praying in the Holy Spirit. Jesus baptizes those who want to follow and obey Him with all their hearts and ask to be filled with the Holy Spirit. Not all Christians have someone around that is already filled with the Holy Spirit, as in other believers that will pray for someone else to receive what they already have. This should not stop anyone from receiving from God what He wants to give and they long for. I've met many Christians that received the baptism as they prayed alone, in their closet and asked the Holy Spirit to baptize and fill them up with His presence. God sent us the best Helper, Counselor and Comforter that we could ever ask for. God, the Holy Spirit desires to live in every single one of us and to be there for us in every situation we face. Being the perfect “gentleman” that He is, He always respects our will. He will never baptize anyone that does not want more or does not ask for it. Once He enters our hearts, He transforms us to become the best version of ourselves, causing us to become more kind, loving, forgiving, more patient and more thirsty for God. I cannot thank God enough for the wonderful, anointed Christians that He brought into my life. God used their help, prayers and example to shape me into what I am today. When I saw their anointing and gifts, I wanted what they had too. They prayed for me and the miracle of the Holy Spirit's baptism revolutionized my life in the best way. My prayer is that the Holy Spirit will use this article, and the correlated ones, to help as many readers as possible to ask and receive all that our Lord has for them. God's love for us is immutable, it is always unconditional and perfect.